All items ship FREE! No exceptions! USA and Canada only. Compatibility: Works on all GSM networks! Condition: Brand new! Factory Unlocked! 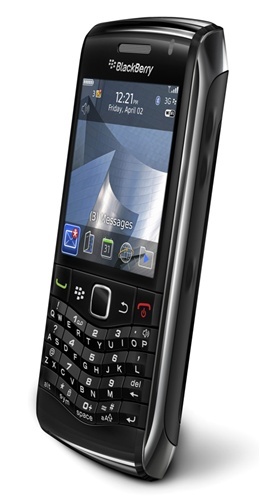 A BlackBerry made for those who want some something more pocketable, the 9100 Pearl 3G skips the trademark BlackBerry front keyboard and replaces it there more compact SureType keyboard, with 2 letters per key, letting the SureType software work out which word your typing. This instantly makes the phone feel like a regular phone rather then a BlackBerry. RIM have wisely kept everything else the same, with the same sublime email handling and messaging, FaceBook & Twitter integration. SureType technology makes it easy to stay in touch with all your family and friends. SureType automatically completes entire words based on your key presses. SureType even learns the words you use the most, making typing simple. Stay in touch with those that matter with your BlackBerry. Connect FaceBook and Twitter see what your friends are up to at any time, or let everyone else know what your doing. With BlackBerry, have your emails delivered the moment they are sent with instant email. No matter what email account you have, work or personal, have your emails ready the instant you need them. Scroll through menus and lists with ease with the optical trackpad built into the BlackBerry 9105. It works just like the trackpad on a laptop computer, simply glide your finger over it to move up/down or left/right. It even works like an extra button, simply press it to select something. Chat with your closest friends anywhere, anytime with BlackBerry Messenger. You'll even know when your message is delivered and read. 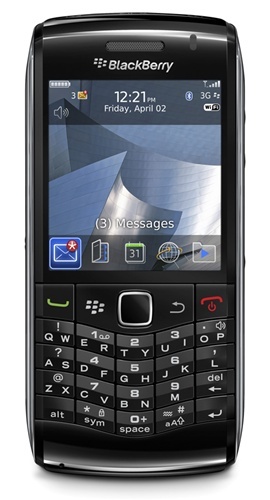 The BlackBerry Pearl 3G comes with a long lasting battery that lets you chat, email and message to your heart's content. Listen to your favourite tunes or watch a video while on the go. The microSDHC memory card slot lets you add in up to 32GB memory cards, enough space for over 8000 songs, or over 64 movies. Let the BlackBerry Pearl 3G create the sound track to your life. Copyright © INTEGRON TECHNOLOGIES, INC.. All Rights Reserved.